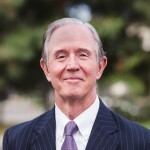 In 1968, Randy received a Bachelor of Arts Degree from St. John’s Seminary College in Camarillo, California with a Major in Philosophy and a Minor in English. In 1973, he received a Bachelor of Science degree from The University of Southern California in Los Angeles, California with a Major in Accounting. In 1973, Randy received his license to practice as a Certified Public Accountant. He is also a member of the American Institute of Certified Public Accountants and the California Society of CPA’s. From 1970 to 1975, Randy held multiple positions within two CPA firms in the Southern California area. In 1975, he formed Redwitz, Inc. a CPA and Trusted Advisors Corporation in Irvine, California. In 1997, Randy formed The GDR Group, Inc. to specialize in IT system installations, hardware, software and managed support. In 2000, Randy co-formed The Diamond Group to specialize in business to government relations consulting. In 2003, Randy formed Redwitz Wealth Management Group, Inc. specializing in personal financial planning and financial asset management. In 2006, Randy formed Learning Communication, LLC specializing in HR training and training support educational products. Collectively the five companies are known as Redwitz Business Solutions. As a CPA in public practice, Randy has extensive experience in real estate development and home building, general and subcontractor construction companies, manufacturing and distribution companies; management and consulting industries of varying specialties; HR training companies; nonprofit entities of a wide variety with a special emphasis in schools. Randy has worked very closely with the Diocese of Orange, and a variety of non-profit organizations over the last twenty years. Since 1990, Mr. Redwitz has been the Business Manager for Santa Margarita Catholic High School and overseen the development of its Master Plan. For the last eighteen years (18) Randy has served on the Diocesan Consultative School Board and is currently its Chairperson. For approximately the last twenty (20) years, Randy has been on the Finance Commission of St. Edward’s Catholic Church in Dana Point and for the last ten (10) years been the Chairperson for that Commission. Randy has been actively involved as an AGN regional and international board member since 2002. AGN is a worldwide Association of separate and independent accounting and advisory firms that provide accounting, tax and advisory services, worldwide. Regionally and worldwide, member of different firms collaborate to meet clients’ needs, and improve client service by sharing experience and knowledge, understanding of each other’s markets and the needs of clients with cross boarder requirements. Since 2003, Randy has been a Board member and the Chief Executive Officer of The Caritas Corporation.The Caritas Corporation is a non-profit organization that owns and maintains twenty one (21) mobile home parks throughout California dedicated to providing low income housing to qualifying families in an attractive and safe community. The Caritas Corporation currently has over 2,000 mobile home spaces along with community clubhouses and recreation facilities for qualifying individuals and families. In 2007, Randy became a Founder and Chairman of the Board of Directors of Partners Bank of California. Partners Bank is a community based business bank in Mission Viejo, CA. For the past thirty years, Randy and his wife, Claudia, have lived in San Juan Capistrano where they raised their five children. They are both active members in their St. Edward’s parish community and the surrounding civic communities; contributing to different local charities and organizations. Mr. and Mrs. Redwitz are both members of the Orange Coast Chapter of Legatus. Randy is an invested knight in the Order of Malta-Orange County Chapter.